Chris Hughton admitted that he did not want to draw Manchester City in the FA Cup semi-finals, but the Brighton manager is adamant that his side can derail the Premier League champions' quadruple bid. Brighton were relieved to be in the last four at all - only the second time they have reached this stage, having made the final in 1983 - after coming back from the dead to knock out specialist giant-killers Millwall. Goals from Alex Pearce and Aiden O'Brien had put Millwall on course for victory in normal time, but Brighton substitutes Jurgen Locadia and Solly March - thanks to a horrendous error by Lions keeper David Martin - shocked the noisy home crowd by levelling the tie late on. When a last-gasp extra-time goal from Locadia was incorrectly ruled out and Glenn Murray hit the bar with the first penalty of the shootout, everything again pointed to yet another Millwall shock. 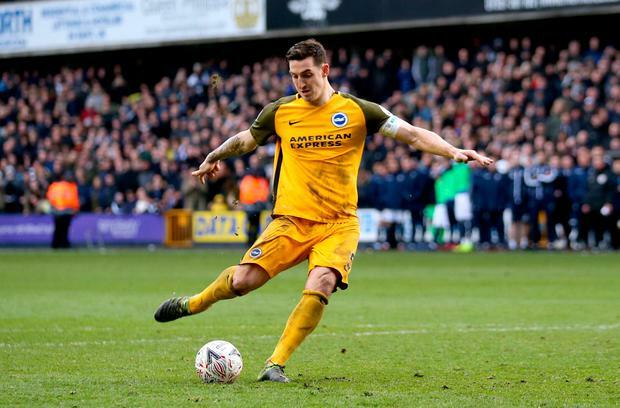 But Brighton refused to become the sixth Premier League club to be dumped out of the competition at the Den and Mat Ryan saved from Mahlon Romeo before Jake Cooper missed the 12th penalty of the shootout to send Hughton's men through. Having witnessed one miracle of sorts on Sunday afternoon, Hughton is not discounting another against City in the semis. "Of course we can upset the odds," said Hughton. "We are delighted and chuffed to get through. The three of us would have all wanted to avoid Man City, one of the best teams in the world. But, as showed today and yesterday, you can always go close. "At 2-0 down, you're out of the competition. I felt we could get one back but to get two back shows great character." 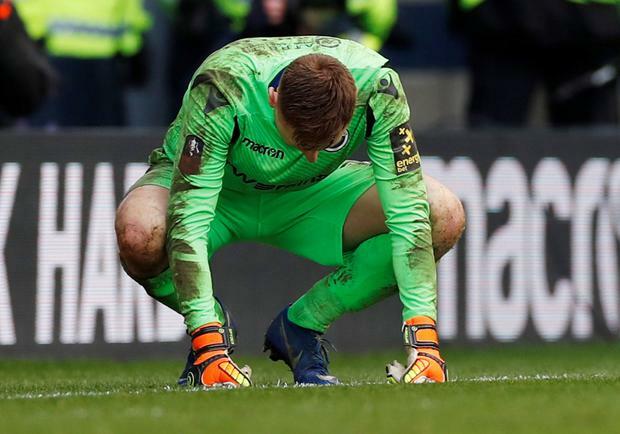 Millwall manager Neil Harris defended Martin after he was left "devastated" by his last-gasp error. The keeper flapped at March's last-gasp free-kick and the ball dropped in to the net. "He is a top pro, one of the nicest guys I've ever come across in football. He is obviously devastated. He has held his hands up and made a mistake.